Home / Family Life / #AvoDermNaturals Revolving Menu has been GREAT for my dog! #AvoDermNaturals Revolving Menu has been GREAT for my dog! This post is sponsored by Avoderm and the BlogPaws Professional Pet Blogger Network. I am being compensated for helping spread the word about Avoderm Revolving Menu but Tales From A Southern Mom only shares information we feel is relevant to our readers. Avoderm is not responsible for the content of this article. 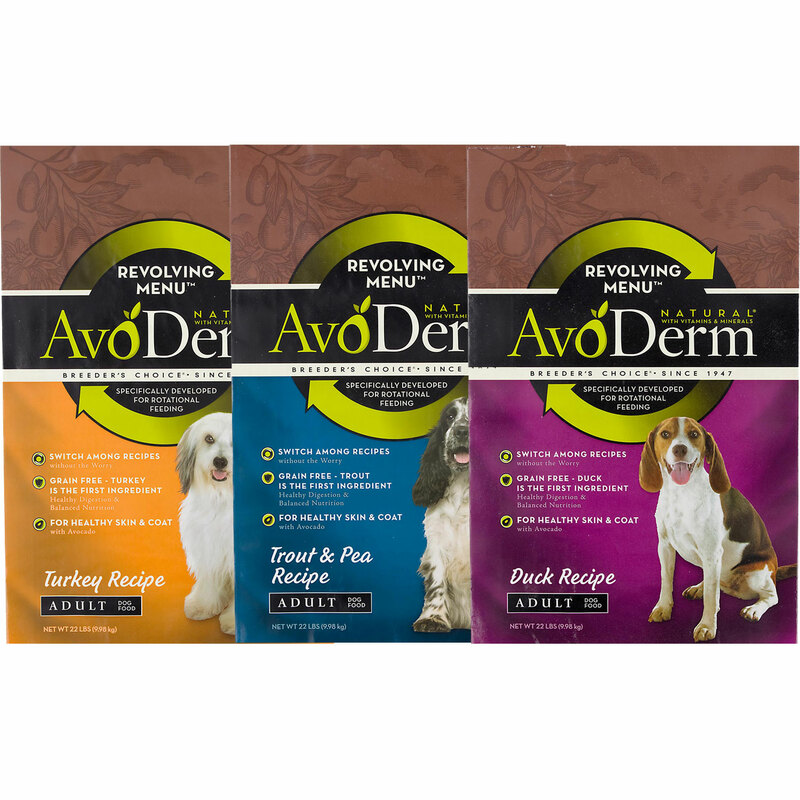 I recently introduced you to a great new dog food and idea of a revolving diet by AvoDerm® Natural and I have put my dog on this food for the past several weeks, the results have been terrific. I am so glad that it is Grain Free, Gluten free, LID (limited ingredient diet)! When we first got Bella she was a large puppy, but a puppy who was into everything and no matter how fast we moved, she moved….and swallowed things faster, and as a puppy she often had loose stools, which we attributed to her habit of doing this. When it became clear that it was not the few pieces of paper or a crust of bread or even a piece of cheese one of the kids gave her that messed up her stomach, we went to our vet and explained the problem. The vet suggested we feed her a high fiber food as Old English Sheepdogs have a tendency to need more fiber in order to have firm stools. I was not a happy dog mom! Almost every premium brand of dog food has about 4.0% of fiber and there is a good reason for this as most dogs require that, the only food that we could find that had a high fiber was a big box store brand that did not have a very impressive ingredient list. When we got the AvoDerm® Revolving Menu dog food I was a little concerned as it had a fiber content of 4.0 percent and I did not think we would be successful with the switch. I am so glad to say that we were proven wrong by the AvoDerm food. We would have never thought to try a Rotational menu to avoid food sensitivities. Bella loves the Turkey Recipe Revolving Diet from AvoDerm® Natural and even more importantly the ingredients are stellar! The first five ingredients in her new AvoDerm food is Turkey, Turkey Meal, Garbanzo Beans, Peas, Pea Flour. Pretty impressive if you ask me, I would eat turkey and peas with some garbanzo beans! Her old food had not such a great list of first 5 Ground yellow corn, corn germ meal, beef and bone meal, soybean meal, YUCK! does not sound too appetizing to me, much less so than the Turkey in the AvoDerm Natural food. We fed this to her and we waited and then we changed to the Lamb flavor and this was the first 5 from that flavor, Lamb, Lamb Meal, Garbanzo Beans, Peas, Pea Flour, Sweet Potato, still pretty good! Bella not only did not have loose stools, she started eating again with gusto, and she had more energy, and she has small firm easy to clean stools, we were so amazed and so happy that our dog was able to have a great food, and have the nutrition that she needed. So many things have changed since we switched to the AvoDerm® Revolving Menu, we feel better about what she is eating, she eats less food, has no stomach upsets at all, her coat is absolutely beautiful (thanks to the Avocado superfood) she has more energy and acts more like a puppy. This food is made in the U.S.A. and that was important to us as well. If you have any question at all about whether you should change your dogs food, to the AvoDerm® Revolving Menu you should, it has been one of the best things we have done for our dog! To find a store near you where you can find this check out the AvoDerm Store Locator! You can also connect to AvoDerm on Facebook, Twitter and Pintererst! Next post: Kids Academy Apps Updated + Printable Worksheets!